Retailers get several shots at winning over mobile shoppers. At first, there’s the research phase, when a consumer is at home browsing on a tablet or smartphone in the early research phase of their shopping. There’s location-based targeting, where consumer interactions can range from simple location monitoring to location-based messaging or marketing. 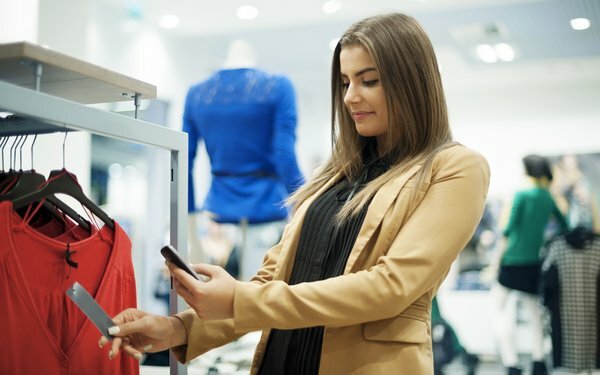 When in a store, shoppers can be even more precisely tracked, thanks to beacons, which many retailers have been at the least dabbling with over the last few years. And then there are the old standbys of geofences and Wi-Fi tracking. Personalized offers can take numerous forms, from in-app advertising to SMS messages upon entering a store. The positive side of retailers using mobile apps is that they can store offers, such as coupons and discounts, as well as track loyalty. The downside is that many in-store shoppers turn to mobile websites for information, such as product details and competitive pricing, often unseen by the retailer. That pricing check by consumers may be the key to winning over mobile shoppers at the final stages of the decision process. Over the last year, retailers have made significant improvements in their pricing capabilities, ranging from improving pricing systems to dealing with competitor pricing, based on a new study. The study by Retail Systems Research (RSR) comprised a survey of 105 retailers, most (74%) of which have annual revenue of $500 million or more, with almost a quarter (15%) of them with revenue of more than $5 billion. The key for the consumer at the moment of potential purchase may still come down to the best price, which is where the issue of price matching fits in. Even before mobile, or the Net for that matter, various stores would gladly match the price of a competitor, although the consumer at the time had to bring a newspaper or flyer to prove the price to get matched. It turns out that being competitive now takes the lead over price matching, according to RSR. While 42% of retailers said they wanted to be competitive, fewer than a third (29%) would match the price. Any mobile shopper looking for a super deal may have to do quite a bit of searching, Only 4% of retailers said they would beat the price of a competitor. Meanwhile, mobile shoppers continue to get more purchasing information at their fingertips, in real time.